But it’s unlikely city and state officials will be able to make significant changes to speed limits once everything is said and done. And there’s a reason for that. It’s because neither officials nor engineers really set speed limits. Drivers do. About 60 years ago, we changed how we set speed limits in this country. It’s this engineering theory that is pretty much dogma now. Around the country – and especially here in Texas – the way we decide how fast people should drive is through something called the 85th Percentile Theory. 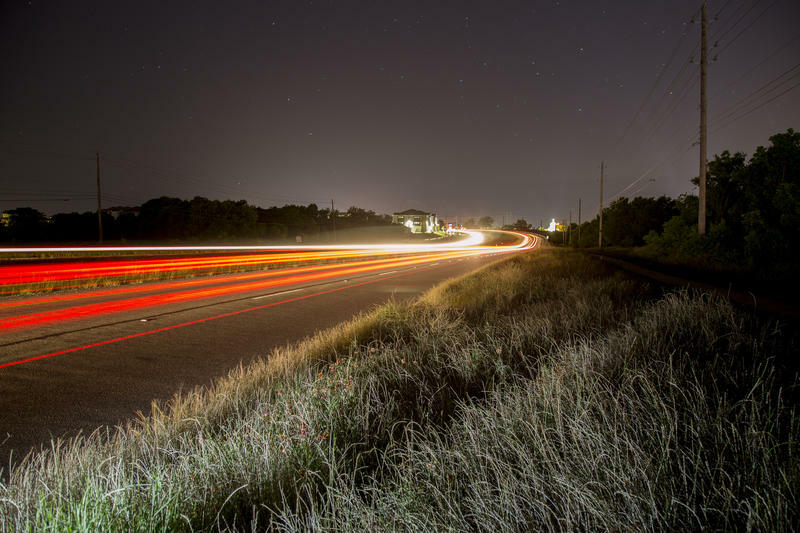 “The basic way of using that methodology is that you assume that 85 percent drivers on a roadway are using a safe and prudent speed,” says Kelli Reyna, a spokesperson for the Texas Department of Transportation (TXDOT). The way the 85th Percentile Theory works is that it assumes drivers are 1) reasonable and prudent, 2) want to avoid a crash and 3) want to get to their destination in the shortest possible time. With those assumptions, we set limits around the speed 85 percent of these reasonable and prudent people are driving. “The thought is for the most part people travel at a speed that they feel comfortable with and safe,” said Eric Bollich, managing engineer at Austin’s Transportation Department. Bollich said Austin—like pretty much every city in the state-- also uses this method for calculating speed limits. That’s because this is a federal engineering guideline. He points out, though, that even though it’s the main way we set limits, his agency, in some cases, looks at other things like curves in the road, existing bike lanes and driveways. 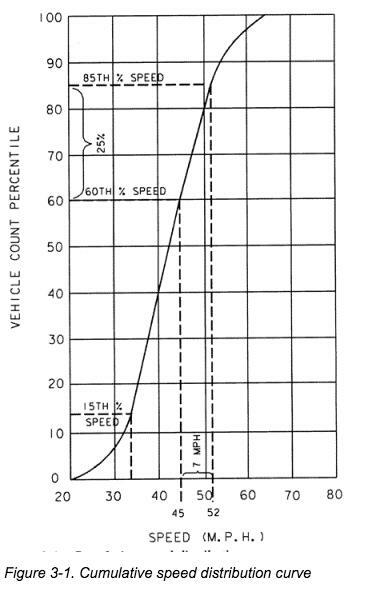 An illustration of the 85th percentile theory in an online engineering manual published by the Texas Department of Transportation. But all in all, this theory leads to major decisions about the speed limits we post. Billy Fields, an assistant professor of political science at Texas State University, thinks we are doing this all wrong. “The opposite way of looking at it is why don’t we design our roads for the speed we want people to go,” he asked. Fields is an expert on how transportation and urban planning can mitigate problems like traffic fatalities. He says he’s pretty skeptical of a lot of practices we developed decades ago. That includes this 85th Percentile Theory. “The very limited set of research that I have seen on this basically says that a lot of that early research wasn’t highly scientific and that research then gets embedded in our practices and it becomes the status quo and it is so difficult to dislodge the status quo,” Fields said. Fields is a big proponent for getting speed limits in residential areas here below thirty miles an hour. He says at 30 miles per hour, a pedestrian has a 50 percent chance of dying if they are hit by a car. 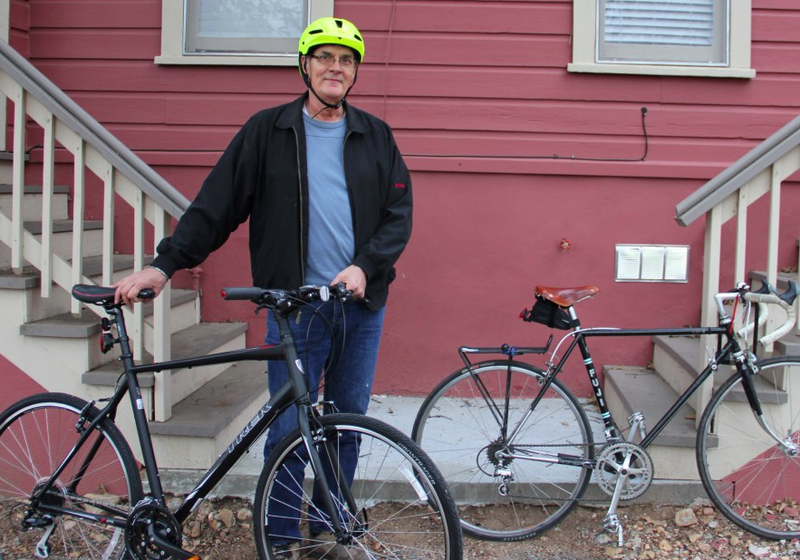 “That is really problematic because most of our streets are above 30 miles an hour,” he said. In comparison, at 20 mph you have a 10 percent chance of a fatality. However, a 20 mph limit in residential areas is nearly impossible to get right now in the current system we have. The state legislature only recently started allowed municipalities to post 25 mph speed limits. But to do that – and this is important—the city needs to conduct a traffic study using the 85th Percentile Theory. These kinds of studies can stop a proposed speed limit change right in its tracks. Let’s say someone lives near a state road where the speed limit is 60 mph. But let’s also say there is a growing neighborhood around it and a concerned person thinks it should be lowered to 50 mph. 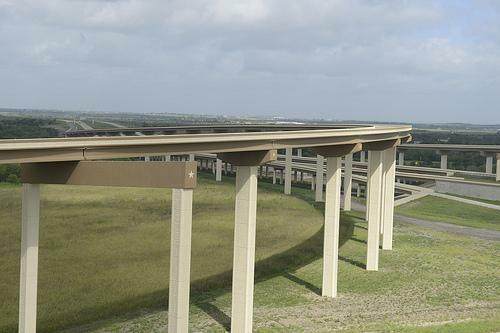 So, TXDOT sends out an engineer. They record the speed cars are going and then they find out 85 percent of drivers are actually going 65 mph. In this case, they can’t lower the speed limit. "Our job is to make sure that the roads are as safe as possible... there are disadvantages to setting speed limits too far below the 85th percentile speed." In fact, because 85 percent of folks were driving 65 on a road posted at 60 mph, the state could very well go back and actually increase the speed limit. “That’s our job is to make sure that the roads are as safe as possible and you know there are disadvantages to setting speed limits too far below the 85th percentile speed,” Reyna said. The argument here is that setting the speed limit below that 85 percent mark can make the road less safe because it goes against the natural flow of traffic – how people feel most comfortable driving. Ultimately, Reyna says people need to watch their speed on the road because the safety of roads in this case is up to drivers. And because of our policies, that’s literally true. "Underlying this is engineering design lines and guidance and that is harder to change and we tend not to focus on it as much." 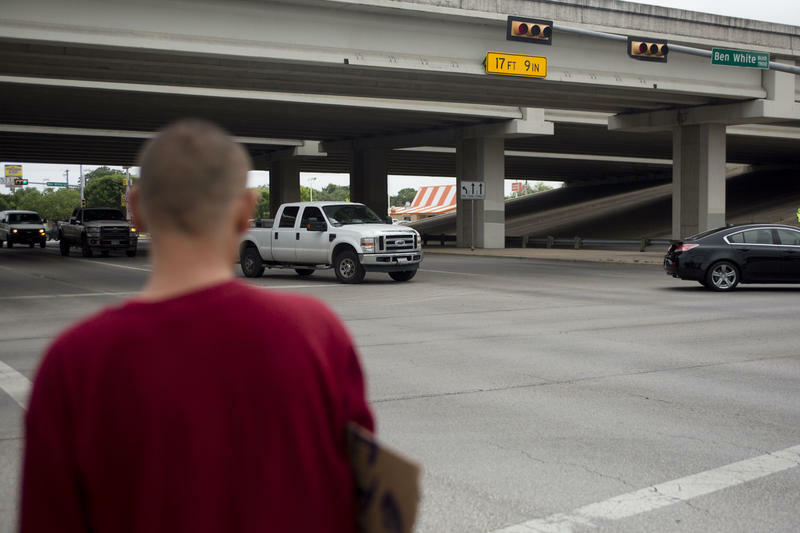 But Fields, from Texas State University, says leaving something as important as speed in the hands of drivers – or even law enforcement – is short sighted. “Enforcement seems like the easy place to handle this,” he explains. “You want enforcement. You can’t not have enforcement. But underlying this is engineering design lines and guidance and that’s harder to change and we tend not to focus on it as much." TXDOT and city transportation officials say they want drivers to be safe on the roads and that it’s the most important part of their jobs. Both Reyna and Bollich stressed how important this is to their respective agencies. 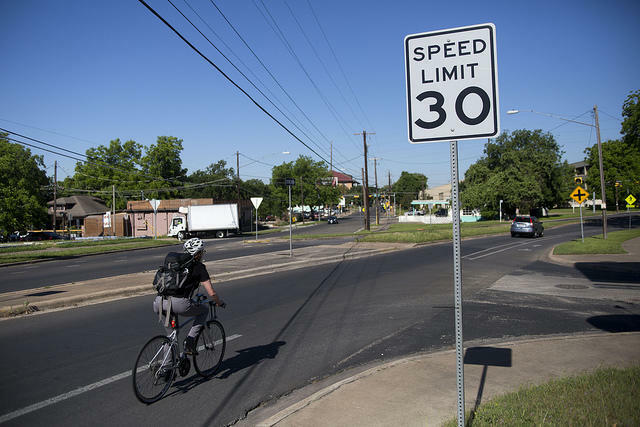 In Austin’s Vision Zero plan, officials identified high speeds as one of the main culprits for traffic deaths. The plan, which is only a draft now, calls for speed studies and a way to work with local and state governments to lower “default speed limits.” Other suggestions stress the need to make sure folks are complying with current speed limits. When Adrienne White arrived home on Mar. 5, 2016, she found a note on her door from an Austin police officer that made her panic. Robert Lormond is standing on the corner of Ben White and Manchaca watching his friend, Jerry. Two police officers have stopped him. “I called him across the street. I didn’t see a police officer and he jaywalked," Lormond says. There are crosswalks on three of the four sides of this intersection, but Jerry cut across the road—the one side without a crosswalk and that's illegal. On January 13, 2015 at about 9:30 at night, 23 year old James Robison was driving his motorcycle on Riverside Drive toward downtown. On the other side of the road, the driver of a Ford Focus had just gotten to Austin from Killeen. He and his passenger had come down to help a friend shoot a music video. They had put their friend’s address into a GPS app on his phone.